MaryAnne Belvedere is a Builder and General Contractor with over 30 years experience in the building industry. She is the President of Belvedere Building & Contracting. MaryAnne started working with her father Frank, a home builder, when she was in her 20's, where she learned the building business from the ground up. She is an on-site Project Manager who coordinates, supervises and oversees every facet of the building process from Start to finish. Her company specializes in building Custom One Family Homes, Additions, Renovations, Remodels and Historical Restorations. 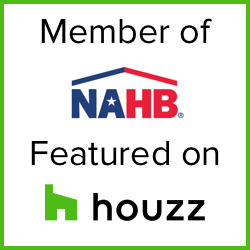 MaryAnne is a member of the National Association of Home Builders, the NJ Builders Association and serves on the Board of Directors of The Builders Association of Northern NJ, where she serves as Vice President. She has been a Volunteer at the Center for Food Action for 25 years; has served for 10 years on its Board of Directors, as well as, serving for 4 years as the Vice President.